DESCRIPTION: The Debbie’s Dream Fund website was designed and developed by PTC Computer solutions. DDF is dedicated to supporting people fighting the battle with cancer and providing for the friends and family who are working hard to enjoy a wonderful life with those people. SMILE. LOVE. EVERLASTING. You can find out more by going directly to their personal website, www.debbiesdreamfund.com, or contact them directly at info@debbiesdreamfund.com or (901) 870-7372. La actualización constante de contenido es sumamente útil para que Google vea nuestro lugar como una Web con vida. el sitio está bien hecho. eres grande en seo y redacción del blog. Gracias. La lucha contra el cáncer es la cosa más importante que podemos hacer. Gracias por ayudar con su sitio web. 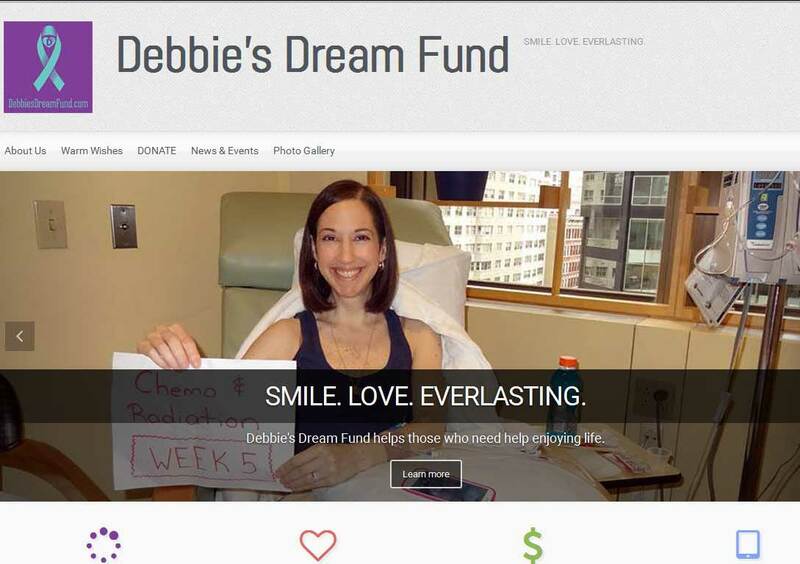 Es un excelente sitio web y aplaudo sus esfuerzos a Dream Fund de Debbie. Miré el sitio web del Fondo Sueño de Debbie y es excepcional. Ha utilizado algunas de las mejores técnicas de SEO y el diseño gráfico es impecable. Gracias por compartir, PTC Computer Solutions. Ustedes saben que su diseño web y desarrollo. Debbie’s Dream Fund is a site I’ve been looking at for a long time. The website design and development that PTC Computer Solutions completed for the website is outstanding. Obviously, how you do the SEO for Debbie’s Dream Fund allowed the search engines to rank your website high up there so I could find you. Thanks to the Jacksonville, Florida based web designer on this national not for profit company.